The home has satellite internet for your use. Note: The internet is not suitable for Netflix or downloading etc. It will be fine for emails and surfing the web but the plan doesn’t have enough data to stream video. Due to the home's location, faster internet is not an option. 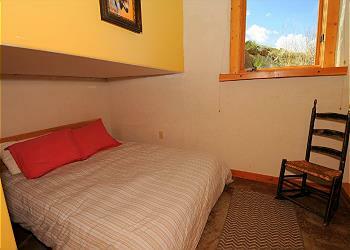 BEDROOMS AND BATHS: The home has three bedrooms and two and a half baths. The main part of the house is all on the second level. 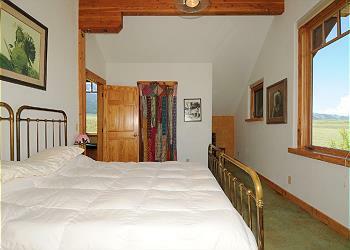 A flight of stairs takes you up to the living area - where you will find the master bedroom with a king size bed. 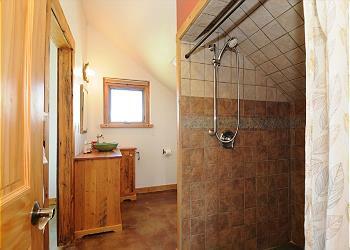 Attached is a beautifully tiled bathroom with a huge double shower. 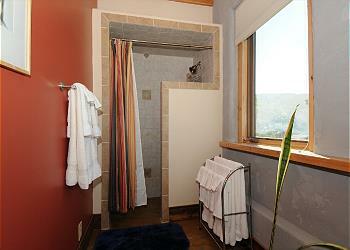 This bathroom is the only bathroom on this level, so it is also accessed off the living room. 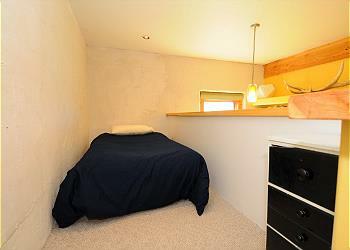 The other two bedrooms are on the lower level. 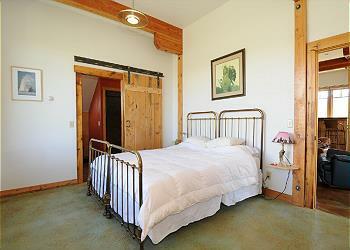 One bedroom has a king size bed and an attached bathroom and the bunk room has one queen futon and a single futon in a lofted area. 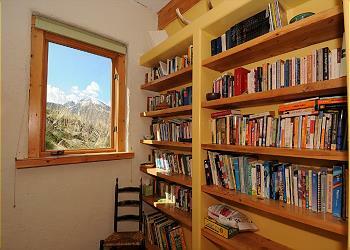 This room also has shelves full of books for your enjoyment. 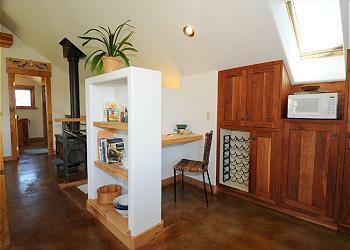 There is also a sauna and a half bath on this level of the home. 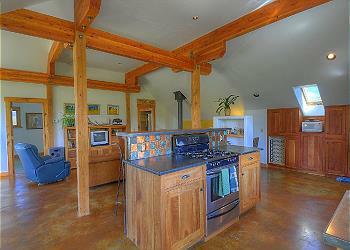 KITCHEN: This complete kitchen has everything you will need to prepare any meals you desire during your visit. It is a long kitchen area, separated from the living area by a tall counter with a couple of barstools - for hanging out to chat with the cook! Off to the side is a dining table that seats six. Patio doors off the dining area lead out to a beautiful deck area for barbecues, or just relaxing and taking in the views. 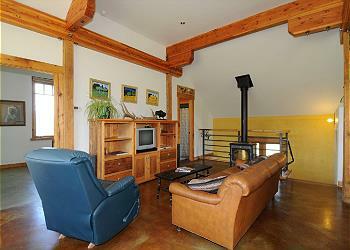 LIVING ROOM: The living room has a cozy leather sofa for snuggling up in front of the woodstove on chilly evenings. The home has some books and games for entertainment, plus there is a television with a DVD for watching movies. The home does not have television reception. My family LOVED Chico Peak! Great views from every window and everything we needed to unwind after days of hiking in Yellowstone and the surrounding area. We would love to come back some day! The house was amazing! It is very close to Gardiner and the entrance to Yellowstone Park. The property was beautiful with awesome views. We could see Chico Hot Springs from our bedroom window, which was really pretty at night. The house had everything we needed and more! We had an amazing time and look forward to booking with Mountain Home in the future. The girls were wonderful to work it and helped us so much! The only problem we had was with the water heater the last night. We had a problem keeping it lit and were unable to take showers or wash dishes for about 3 hours, but the handyman called immediately and was very helpful. Love the cabin! It was spacious, clean, and the view was amazing! Our family of 5 called Chico Peak home for 6 nights. It was very difficult to leave this peaceful retreat. 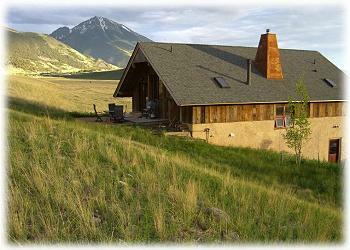 After long days in Yellowstone, we were always happy to return to our house under the mountain. The view was breathtaking. I could have stayed in the home without any other adventures and been completely content. In addition to the mountain, we watched elk and enjoyed bird watching from the back patio. The home is situated on a lot of property so you will not have another rental or another home close to you. It is extremely private (which we loved). We journeyed almost everyday to the park which was about a 40 minute drive of even more beautiful scenery. 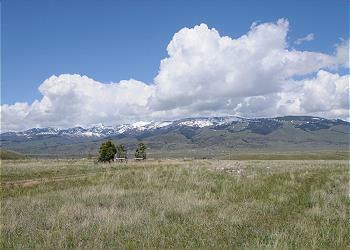 The drive never got old as we enjoyed looking for wildlife and watching the Yellowstone River wind through the hills. This rental is everything I would expect and hope for with a family vacation. 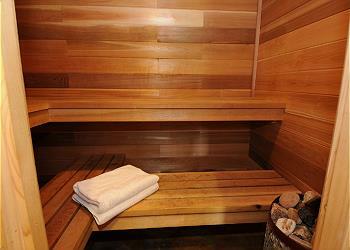 I would recommend to the rental management company adding general guidelines for the sauna. As they replied promptly to all our questions and it is easy to turn on, we didn't know how much water to add to get it started or what temperature is best to start with. We tweaked the temperature as we learned, but without general guidelines it was trial and error at first. 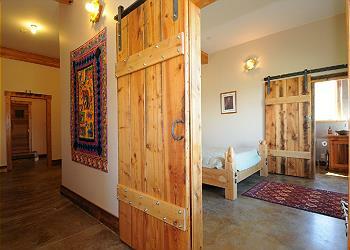 The sauna was amazing after long hikes and my husband called it "the miracle cure." There is a great general store right down the road in Emigrant which we used everyday to stock the cooler. My husband also enjoyed fishing close to home and the angler store in Emigrant was really cool. We would recommend this property to all our family and friends and plan to do so as some plan to visit next year after hearing about our stay. Great place to relax after a day of hiking and sightseeing in Yellowstone. Great layout, plenty of room and a great place to share a meal. 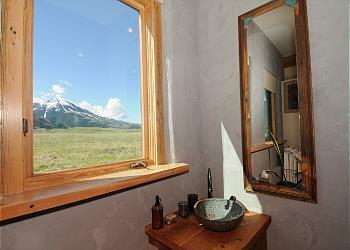 Chico Peak was the perfect place to have a peaceful, productive writing get-away. We loved it! The home is beautiful, and the setting spectacular. We're hoping to go back again next year too. Why do we live in Michigan??? The views in Montana were breathe taking and the weather couldn't have been any more perfect. The home we stayed in, Chico Peak, was very unique and warm. Every window you looked out of had a view of snow covered mountains. I enjoyed sitting on the window bench reading and watching my kids explore outside while my husband was cooking on the grill. At night we would lay outside and watch the stars. My sons were amazed with how many there were. Then we would head in and warm up on the sauna. It was a vacation that my family will never forget. I would highly recommend this house and I hope that we get a chance to make it back there. Our 3 day stay at Chico Peak kicked off a 12 day trip out west for our family. Talk about getting started on the right foot!! The home itself was spacious, clean, convenienly stocked, and nicely decorated. The property was nestled in a valley surrounded by mountains that made for wonderful sunsets. Our 3 teenagers had a blast every night spotting the wildlife all around the home from both inside the cabin and during our evening walks. There were 3 mule deer one night right outside our sons bedroom window. The staff was so accomodating, for our cabin we had rented from another company fell through just one week before our departure!! 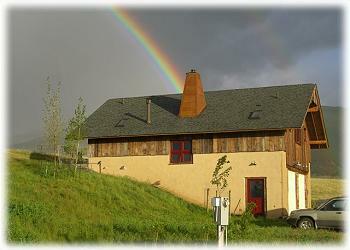 Which turned out to be a blessing in disguise for Chico Peak was both a nicer home & setting. The distance to Yellowstone was 30 minutes and other activities we did were about the same. Our only regret in the end was that we didn't stay longer!! 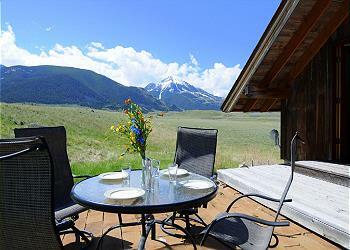 We would highly recommend planning your vacation with Mountain Home Vacation Rentals. WOW! What a fabulous trip! Lets Do It Again! Our home that we we had at Chico Peak was fabulous! Wild Deer outside our home in morning and evening-Home was unique that made it even more fun! Very Clean--It ended up only two of us being there (friends couldn't make it). Fun places to go out to eat around the home-Yellowstone very close to home-Chico was fun for soaking and food and music! We will be back! This was the perfect set up for having kids and dogs. The two level with 2 bedrooms downstairs and one up where the main living space was made it easy to have sleeping kids away from the action. The house was beautiful and we enjoyed our stay and would likely book there again. Thanks! We absolutely loved staying at Chico Peak! The drive to Yellowstone didn’t seem very long because of the great scenery. The view from the living room was amazing! Management made sure that we were comfortable and had everything we needed. Excited about planning our next trip with Mountian Home! Chico Peak was a wonderful get away for our family of 5! We spent most of our days at Yellowstone and it was very nice to escape some of the crowds to our own space where we could view beautiful mountains from almost every window. The house has everything you need to make those wonderful vacation memories. This was our second stay at Chico Peak. 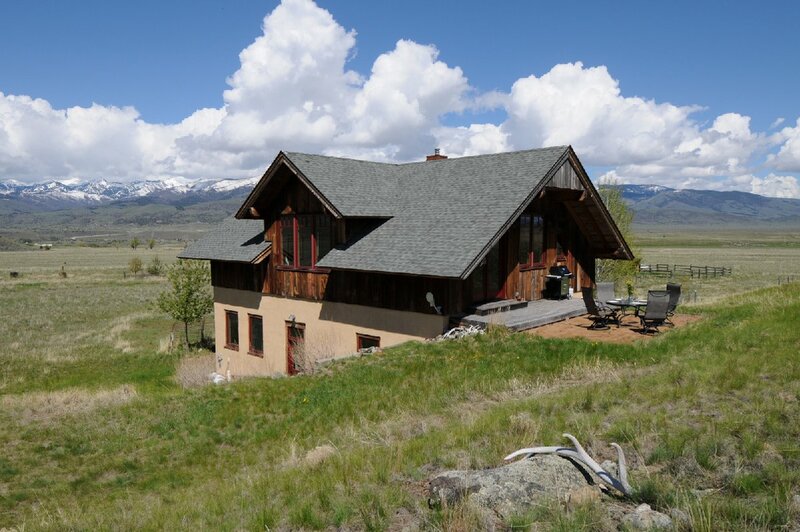 The house has a really great set up for multiple families, and is in a perfect location almost midway between Yellowstone and Livingston. Being so close to Chico Hot Springs is also great. 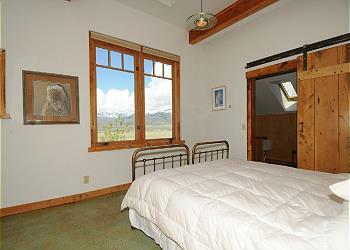 Chico Peak is a wonderful house, perfect for a group of family or friends. 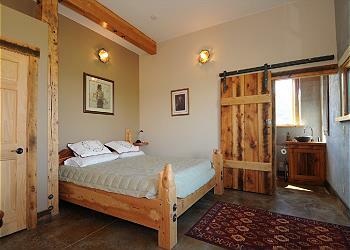 The location is fabulous, close to Chico Hot Springs, Emigrant, and not far from Livingston and Gardiner. There is a ton of great hiking around the area as well. House is super functional, has a nice patio for coffee in the morning, cocktails in the evening. It was clean and well cared for. Only complaint is that the internet wasn't great which meant that we couldn't stream movies (seems that the owner might pay up for better/faster internet and add the cost to the rental). Mountain Home Montana is the best agency in the world. They are super responsive to any issues, and do a terrific job making sure the homes the represent are nice and clean with thoughtful touches. Repeat customer! Hello Pamela! 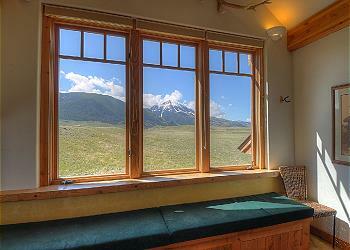 Thank you so much for your wonderful review of Chico Peak and Mountain Home Vacation Rentals! We are very glad you found the home to be comfortable, functional, and well cared for. We greatly appreciate your kind words about our office as well and do hope you will return soon! Thanks again! My family of 5 stayed here for 5 nights and loved it. We stayed here for our stay at Yellowstone, which was about only 30 minutes away thanks to the 70 mph Montana speed limits. I was concerned about the distance to the park, but it wasn't too bad. The cabin is about 30 min south of Livingston, which is the closest city with a good size grocery store. The home was beautiful...wished we could have brought it back with us to MN. Excellent mountain views with lots of mule deer out and about. The patio was wonderful after a full day in the park. There was no A/C in the cabin, but it wasn't needed. We had temps In the 90s during our stay, but temps really cool down at night to keep it cool. Loved it here! Hello Danielle! Thank you for your great review of Chico Peak! 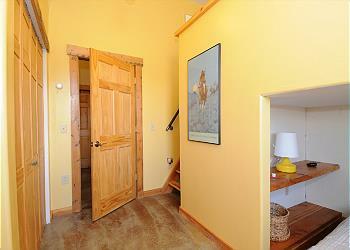 We are happy the home provided a beautiful and comfortable base for all your Yellowstone adventures. We strive to provide a home away from home for all our guests! Thank you again and we hope to see you in the future! 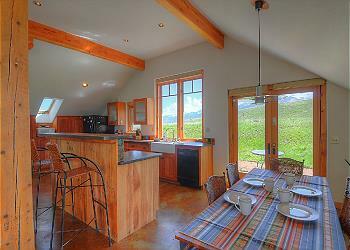 Thank you for your wonderful review of Chico Peak and Mountain Home Vacation Rentals! We love hearing when guests have thoroughly enjoyed one of our properties! It is great to hear that you enjoyed the home, scenery and wildlife in the area and took advantage of the sauna in the home. Thank you for the feedback on general sauna guidelines to have on site! We hope to see your family and friends this summer and hope you will return as well! Thanks again and have a wonderful day! The setup of the house is different, but it was so spacious and open. We had a wonderful time with lots to do in the surrounding area. Thank you Joan for your great rating of Chico Peak! We are happy you had a wonderful time at the home and in southwest Montana! Let us know when you are planning another trip. 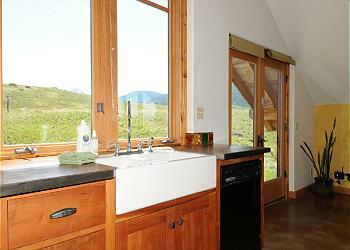 We would love to see you again at Mountain Home Vacation Rentals! Hello Birgitte and Hans! 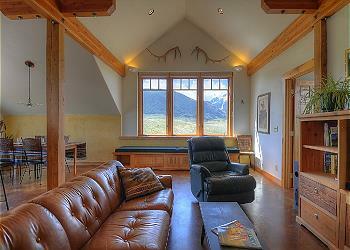 We greatly appreciate your wonderful review of Chico Peak and our office at Mountain Home Vacation Rentals! It makes our day to know that you loved the home, enjoyed Montana and Yellowstone Park, and appreciated our service at Mountain Home! We hope you can make another trip from Denmark in the future. We would love to have you as our guests again!